Seaside Farms Homes for sale in Mount Pleasant, South Carolina. Marais at Seaside Farms is located in beautiful Mt. Pleasant, S.C., just minutes from Isle of Palms. The convenient proximity of this intriguing marsh community offers residents an “atypical architectural design,” said Gene Styles, a resident of Marais at Seaside Farms. Constructed by Gulf Stream Construction Company, a subsidiary of the developer, THE BEACH COMPANY, Marais at Seaside Farms offers a relaxing lifestyle that is unique to residents and the community of Mt. Pleasant. “Marais is a place where we have the best of both worlds,” said Styles. The Styles family chose a three-bedroom, three-bath design on two levels. © 2017 SEASIDEFARMSHOMES.com. 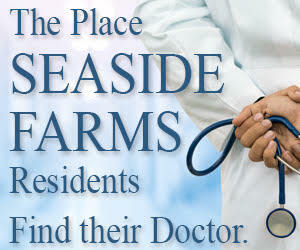 Seaside Farms & Mt Pleasant Real Estate. All Rights Reserved. Site design and maintenance by Media Services, Internet Real Estate Marketing.